The Future of Search Series is supported by SES Chicago Conference and Expo, the leading search, social and display conference. From November 14-18, get five days of education, inspiration and conversations with marketing experts from the digital space. Register with MASH20 to save 20%. A text-based, context-less search experience, the type of search experience consumers have come to expect on the web, is becoming passé as touchscreens replace keyboards and tablets re-imagine what’s possible. As the co-founder of personal assistant startup Siri — which was acquired by Apple and may find its way into iOS 5 — and an investor in a number of future tech search-driven startups, Winarsky has an ever-present eye on trends in search. 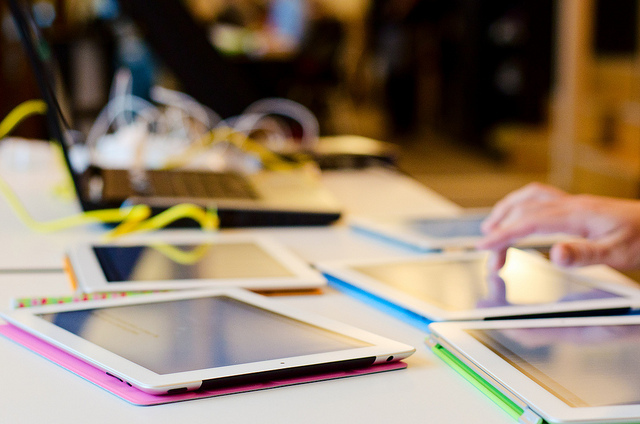 In an interview with Mashable, Winarsky details how tablets are changing the way we search. “Tablets enable a full, interactive experience that involves not only text, but potentially speech and interactions,” he says. 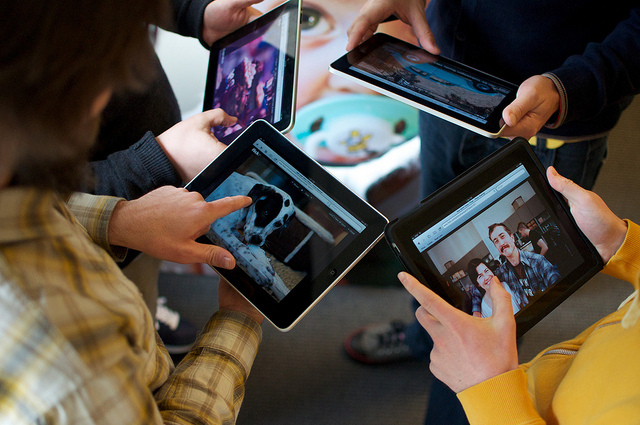 Search on tablets will incorporate how you engage with your tablet’s touchscreen, front and back cameras and microphone. “Where are you looking? What are you seeing? How much time are you spending reading?,” he says as ways to imagine new avenues for search on tablets. The future of search, as pioneered by the tablet’s form factor, is the dynamic interaction among all of your senses, foretells Winarsky. Winarsky’s predictions aren’t all that far fetched, especially if you align yourself with the camp that believes that tablets will replace laptops and PCs as the primary devices for personal computing purposes. Forrester, for one, estimates that tablet sales will total 195 million between 2010 and 2015, with tablet sales eclipsing laptop sales by 2015. Apple is currently dominating the market; it alone sold 9.25 million iPads in its fiscal third quarter — the company’s best quarter ever. In a post-PC world, keyboards will play second fiddle to fingers and gestures. Cameras will conjoin the physical with the virtual. Our voices will tell our tablets what we want, and our tablets will process speech in a near-cognitive fashion. All those dynamics will aid significantly in the discovery on information with right-here, right-now context. 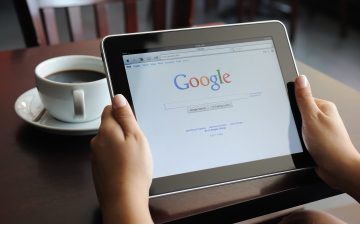 Who then is best positioned to command this new frontier in next generation, tablet-optimized search? “It’s kind of hard to bet against Google, isn’t it?” Winarsky says. Still, he admits that the company is behind in the tablet market with Android and behind in the social networking space, even with Google+. But, Google owns the text search market, and it has the resources to create a unified search experience, he says. But, will the unified search experience take the form of an application, an operating system or continue to be a literal search experience? “Eventually, search will not be a separate activity. It will be incorporated into the operating system of the tablet,” Winarsky says, though he qualifies his statement to add that this will take years to happen. Search on tablets, as outlined here by Winarsky will be a far different experience than search as we know it. Will these tablet-inspired experiences trickle back to how we as consumers expect to search for information on the web via laptop or PC? “Absolutely,” says Winarsky. “People will feel that search by text alone, in a text bar, without interaction and without multimedia is prehistoric in five to 10 years.” This, perchance, leaves the door open to a new king in the search market. The Future of Search Series is supported by SES Chicago Conference and Expo, connecting the digital dots between search, social and commerce. The SES Chicago Conference & Expo takes a critical look at the latest developments to help marketers traverse the quickly developing landscape, with a special focus on the latest ecommerce trends and the latest technology launches from Google, Facebook, LinkedIn and more. Register with MASH20 and save 20%. Join the discussion #SESConf.